We are pleased to report that there has been further, international coverae for client and leading personal finance pundit Jasmine Birtles. 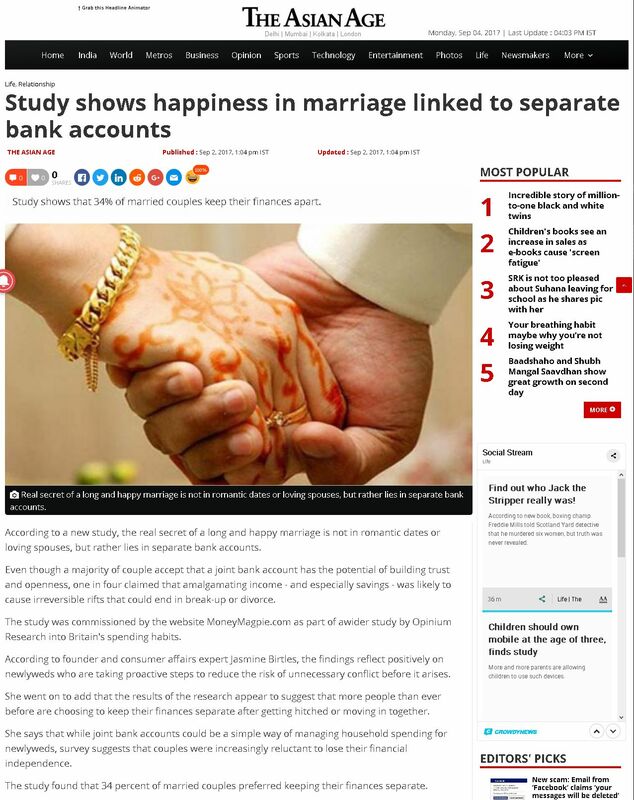 We were instrumental in securing exposure on the New Zealand Herald, Australian lifestyle website Woman’s Health, The Asian Age and Deccan Chronicle for new research by Jasmine, conducted by Opinium, that reveals that more than a quarter of married or cohabiting Brits blame joint accounts for “divorce-inducing” financial arguments. Find out more about our consumer PR services HERE. Contact us HERE.